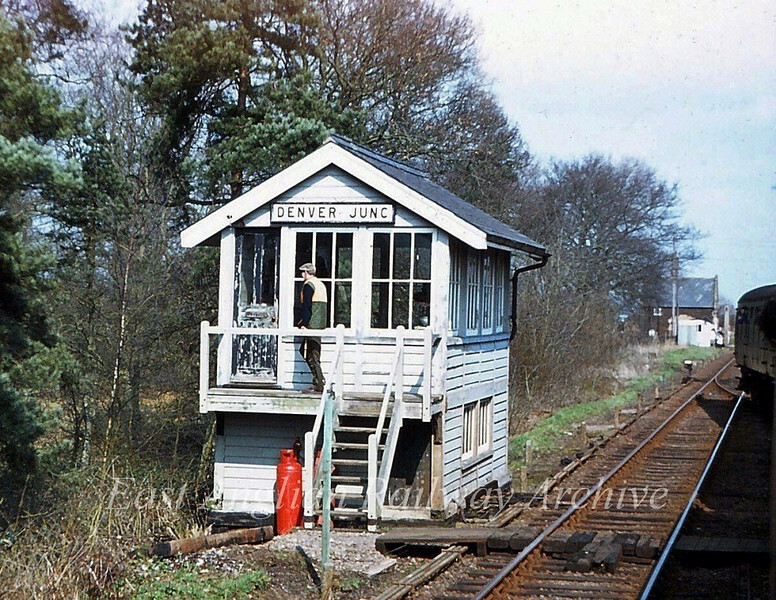 Denver Junction Signal Box on 29th March 1980. The signalman is returning to the box with the staff for the single line to Abbey. The picture is taken from the West Norfolk Freightline Railtour which has just rejoined the main line from Abbey. Denver was the junction for the Stoke Ferry Branch.